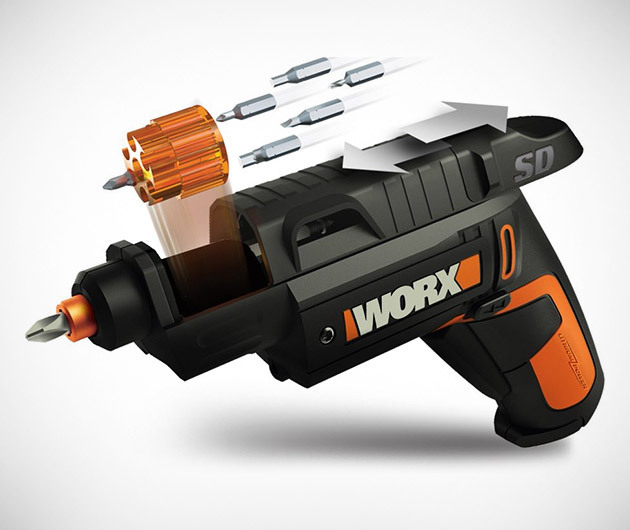 We all imagine in our heads that our hand held power tools are some kind of lethal firearm, and the WORX Semi-Automatic Power Screw Driver has clearly been designed with that in mind. Two rapid reload cartridges store six bits, bullet like, which load into the top of the barrel. So you just got to ask yourself one question, Do I feel lucky? Well, do ya, punk?